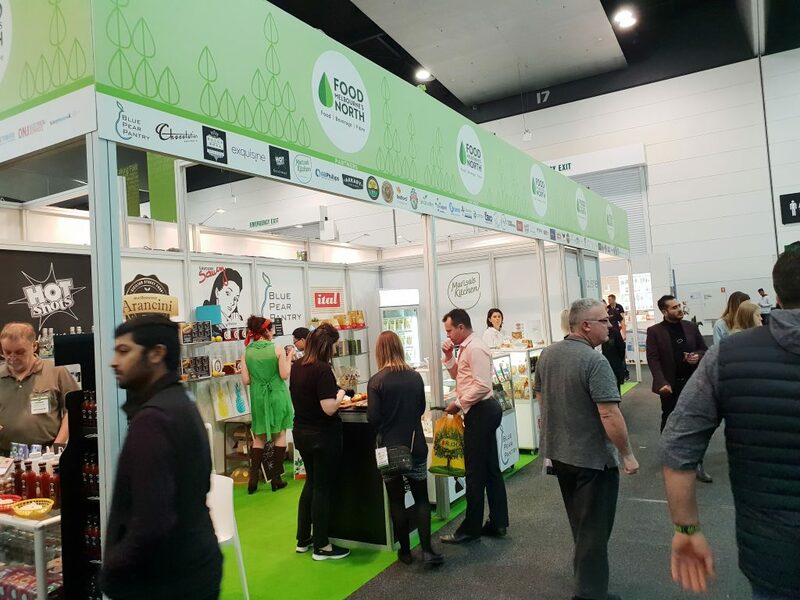 We regularly coordinate the Melbourne’s North Food Group stands at national and international trade shows and host overseas buyers who are visiting Melbourne. Please read below to see a list of upcoming and past trade shows and buyers visits. These offer our partners the opportunity to display products and services, and build relationships, with new customers from selected markets. The Melbourne’s North Food Group will have a prominent stand at Fine Food Australia, to be held at the Melbourne Convention & Exhibition Centre. Fine Food Australia is the country’s leading trade exhibition. It has been connecting buyers and sellers within the foodservice, hospitality and retail industries for over 34 years, with more than 1000 exhibitors and over 26,000 visitors. We will be exhibiting with our members and have a 72m2 stand. Stands of all size are available, with a discounted price for MNFG partners. The Melbourne’s North Food Group was well represented this year at Thaifex-World of Food Asia, a major international food and industry event held in Bangkok. Gaining an excellent position at the exhibition, the group was successful in gaining one-on-one meetings with significant buyers and distributors from Singapore, Malaysia, Indonesia, Hong Kong, Thailand and Taiwan. A number of strong leads resulted and exhibitors were unanimous in voting their participation in the 2018 Thaifex a great success. Food and beverage traders from Melbourne’s north gathered to take part in an expo that showcased local products to over 100 buyers and a special delegation from Chongqing and Beijing, who had arrived in Melbourne as part of an ongoing business opportunity between the two regions and local Chinese buyers. Being from a city of 32 million people, the Chongqing delegation provided a welcome opportunity for local food, beverage and fibre companies to talk shop and gain a greater understanding of the Chinese market. The delegation and other buyers were able to talk personally to all representatives who attended the event, exploring the potential for export and sampling the very best Melbourne’s north has to offer. The overwhelming feeling from all attendees was that their partnership with the Melbourne’s North Food Group will flourish well into the future – an excellent proposition for clients and prospective clients alike. Best of all, exhibitors reported a number of immediate orders and strong potential for more business into the future. An initiative of the Victorian Government’s Export Connect and the Melbourne’s North Food Group, this forum was a rare opportunity to hear from senior buyers and international retailers from the UK, UAE and Malaysia. The panel shared insights and trends about their markets and how to engage with them. Over 40 food businesses from our region were represented, learning how to select the right markets and understand market entry strategies, connect with senior buyers, industry peers and export support agencies, and grow sustainable export businesses. Gulfood is the world’s largest annual food event, attracting 97,000 visitors across 1 million square feet of exhibition space. Our team took a group of local food and beverage producers to Dubai to meet with key buyers and promote the great products available across the region. The Melbourne’s North Food Group also made key contacts that will benefit members into the future.